Deluxe hotel situated in the heart of St.-Petersburg, on Nevski prospect, it is within walking distance of the Royal Winter Palace, the Hermitage and Russian museum. The hotel has many restaurants and bars, a business center, a sports center, boutique, exchange banks. 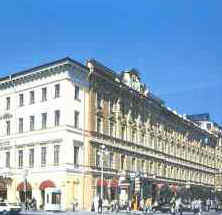 The hotel located in St. Petersburg center on Nevsky Prospect. Three restaurants, bar, business meeting-rooms, a service-bureau, fitness center, sauna, solarium. 282 rooms and suites (including 49 for non-smokers). 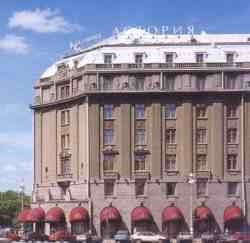 Located in the downtown of St. Petersburg on St. Isaac's Square Astoria is an old, fashionable hotel. It was reopened recently after extensive renovations. Some of the rooms were restored to their ancient design. There is a restaurant, different bars, banquet halls, business facilities, a congress hall for 200 persons, fitness center, sauna, Turkish banya, massage, shops, library. 223 rooms (first-class, luxury and suites). Radisson SAS Royal hotel is a high-end hotel on Nevskiy Prospect. They renovated an old building very nicely so that the choosy visitors could fully enjoy their stay in the heart of St. Petersburg. The place looks rich both inside and outside. Inside there is a restaurant, bars, banquet halls, business facilities, fitness center, sauna, shops. 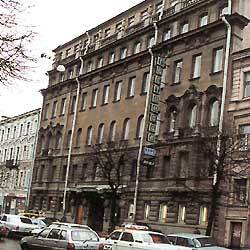 Relatively new hotel located in the center of St. Petersburg, five minutes off Nevsky Prospect. 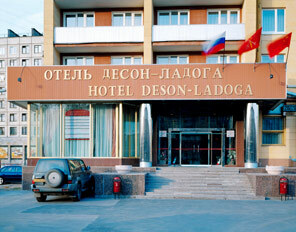 Restaurant, bars, lobby lounge, banquet and conference facilities, casino, beauty saloon, Russian banya. Located in the downtown on St. Isaac's Square Astoria/D'angleterre is an old, fashionable hotel. It was reopened recently after extensive renovations. Some of the rooms were restored to their ancient design. There are 4 restaurants, banquet hall, business facilities, a congress hall for 200 persons, fitness center (sauna), swimming pools, massage, shops, a post office. 193 rooms (first-class, luxury and suites). The hotel is located rather far away from the center of St. Petersburg, about 10km. 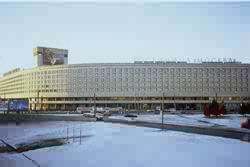 It is a modern, Finnish built hotel, located closer to the airport "Pulkovo" than any other hotel. There is a spacious lobby, 2 restaurants, 2 bars, 2 saunas, a tennis court, and a sports center. 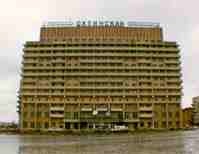 The huge hotel located on Vasilyevsky Island overlooking the Gulf of Finland. It is about 10 minutes from the center of St.Petersburg by car. There are 4 restaurants, 5 bars, banquet halls, a congress-hall and a conference-hall. There are 20 two-storey 3-roomed suites, 1140 doubles and 40 singles for 2400 guests! Inside there is a health club, sauna, beauty salon, bowling and billiards. Relatively new hotel located in the very downtown of St. Petersburg, over looking St. Isaacs Square. 102 spacious rooms and suites, a restaurant, lobby bar, cafe, fitness center, sauna, business center, conference rooms. 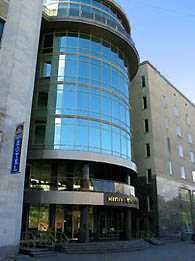 This medium-sized hotel in St. Petersburg opened in the summer 2003 and located about ten minutes walk from the metro and Nevsky Prospect. All rooms have wireless internet access, a cosy restaurant located on the ground floor is open until midnight. There are 33 rooms - 15 DBLs and 18 TWNs. Nearest metro station - Chernishevskaya. 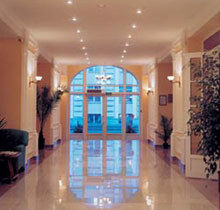 The hotel St. Petersburg is located near the historical center of St. Petersburg. There are 400 rooms with 100 single rooms. There is a business center with: printing service, fax, telex, photocopier, international telephone exchange, Internet service. 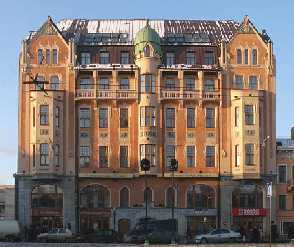 This hotel is in the historical center of St. Petersburg, on Nevsky Prospect, Neva River and Aleksandra Nevskogo Square. Inside there is a sauna, solarium, Turkish bath, swimming pool. 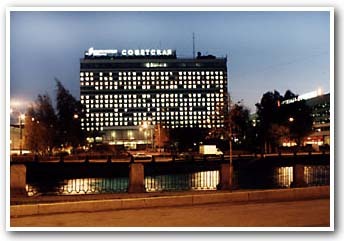 The hotel is located outside the cener of St. Petersburg. It is about 15 minutes driving from Nevsky Prospect. 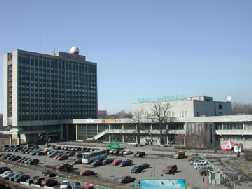 Nearest metro station - Novocherkasskaya. Restaurant, bar, Sauna. Business facilities include fax, telex, car rental. 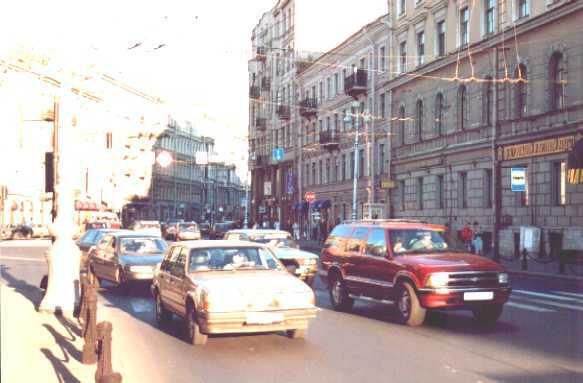 A large hotel located in the center of St.Petersburg, at the corner of Nevsky and Ligovsky Prospects. 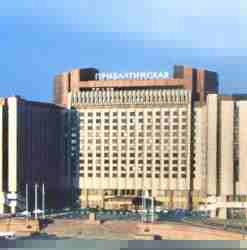 Opened in St. Petersburg in January 2004, this hotel takes up the top three floors of Vladimirskiy Passazh, a new shopping centre. 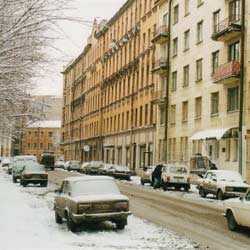 The building is situated in the heart of St. Petersburg, opposite Vladimirskiy church and 5 minutes off Nevsky prospect. 3 singles, 160 doubles, 44 suites, 5 disabled rooms. 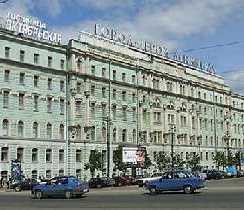 This medium-sized hotel in St. Petersburg located in the city center, five minutes walk to Neva embankment and 15 mintes walk to Nevsky Prospect. The hotel features 133 rooms, restaurant, bar, beauty salon, sauna. Nearest metro station - Chernishevskaya. This little and cozy hotel in St. Petersburg has the same name as the island, on which it's located. 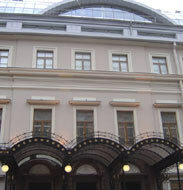 The hotel is in the city center, very close to Mariinsky Theatre and about 15 minutes walk from Nevsky Prospect. The hotel features cafe-bar, restaurant, conference hall, sauna. 46 rooms - 19 SGLs, 16 DBLs, 2 suites, 9 apartments. Nearest metro station - Sennaya Ploshad'. The hotel LDM is located just on the banks of Aptekarsky Island, which is in a quiet residential area surrounded by parks and 20 minutes by car from the city centre. LDM Hotel holds conferences, seminars, and exhibitions; offers restaurant, bars, night club, bowling and aquapark. Keep fit while here in the training room, heated indoor swimming pool, sauna. Nearest metro station - Petrogradskaya. 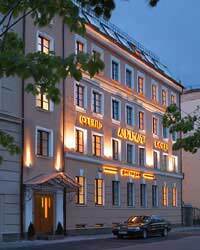 This mini hotel Marshal is located in the historical centre of St.Petersburg near the Neva river embankment and close to the Tavrichesky Palace/Garden and Smolny Cathedral. The hotel features 17 rooms, conference centre, restaurant, sauna, jacuzzi. Nearest metro station - Chernishevskaya. 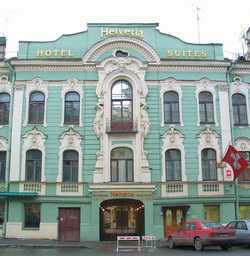 Helvetia apart hotel is located in a mansion designed by a Swiss Architect in 1828 in the center of St. Petersburg, at the corner of Nevsky Prospect. The hotel features 20 suites for 100 guests. Every suite has a hallway, a fully equipped kitchen, bedroom, bathroom, satellite TV, a telephone and mini-bar. Nearest metro station - Mayakovskaya. 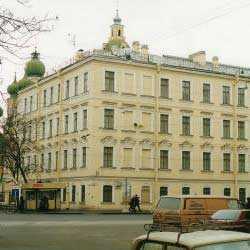 SpbVerGaz mini hotel is situated in St. Petersburg historic centre. 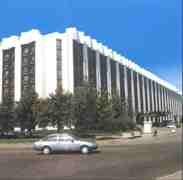 Nearest metro station - Vasileostrovskaya is within five minutes walk. 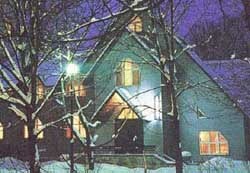 The hotel features 18 rooms, sauna, meeting rooms. 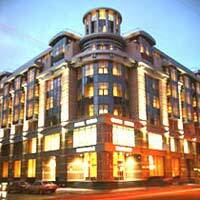 Mini hotel Piter is situated in a quiet part of St. Petersburg city center, on Petrogradskaya side. The nearest metro station- Sportivnaya is within 5 minutes walk. The hotel features 7 rooms of different types, bar, restaurant, fitness-center, sauna, beauty salon.